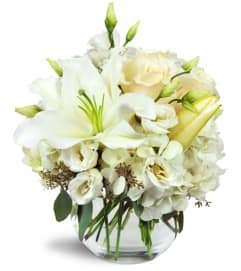 The FTD® Eternal Light™ Bouquet is an exquisite arrangement that will bring a luminous beauty to life's most precious moments. 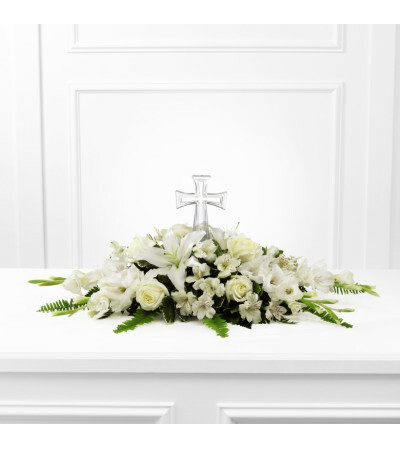 An exquisite glass cross is surrounded by white roses, gladiolus, Peruvian Lilies, Oriental Lilies, vibrant Boston fern fronds and lush greens to create a wonderful arrangement ideally suited for a memorial service, baptism, First Communion, christening or wedding. 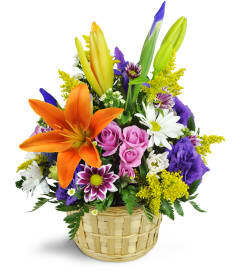 GOOD bouquet, approximately 7"H x 28"W. BETTER bouquet, approximately 7"H x 29"W. BEST bouquet, approximately 8"H x 30"W.